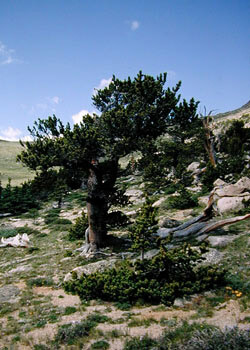 Limber pine can grow at both high and low elevations. 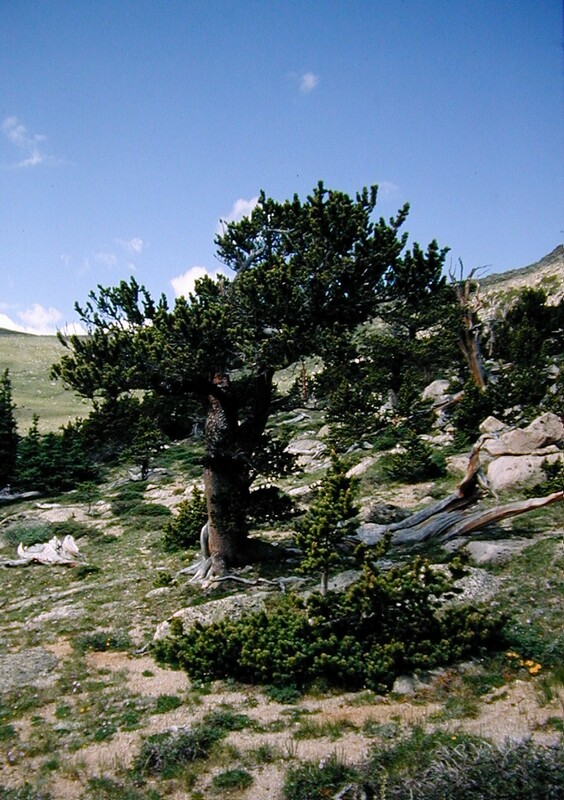 Rocky Mountain bristlecone pine is an extremely long - lived pine that has been known to survive nearly 2,500 years. One unique characteristic of this pine are the resin flecks; they look like little white dots all over the needles.